In 2014 the Australian government launched a shocking and bizarre strategy to tackle their immigration problem. The campaign strategically aims to discourage immigrants from even thinking about coming to Australia rather than trying to stop them at the border. 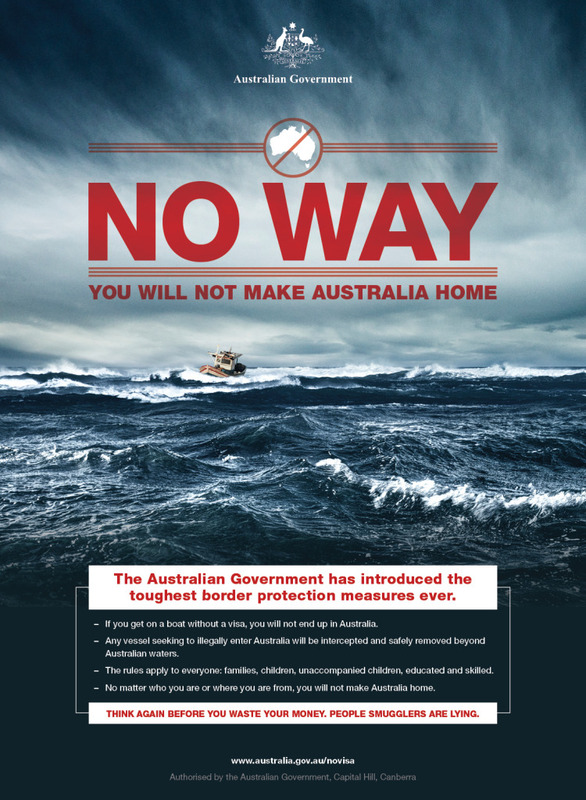 The campaign’s tagline, “You Will Not Make Australia Home,” has been translated into 16 languages and targets immigrants without visas arriving in Australia on unauthorized boats; thousands of immigrants from the Middle East attempt to enter Australia in this manner each year. The campaign has been the pet project of Prime Minister Tony Abbott to halt the influx of immigrants by emphasizing the futility of such journeys and strengthening maritime patrol units. Abbott’s plan has been quite effective – only one boat has made it to Australian shores in the past year. The problem with Operation Sovereign Borders, as it is called, is that it is almost exclusively directed towards immigrants seeking political asylum from countries such as Afghanistan, Iran, Iraq and Sri Lanka because they do not have “valid” visas. All of these states are experiencing disturbing humanitarian crises, from political unrest and persecution in the Middle East to a brutal civil war in Sri Lanka that resulted in the death of more than 70,000 Tamils. Despite their refugee status, the immigrants are not allowed into Australia under any circumstances because they do not hold valid visas and instead are sent to detention camps in Nauru and Manus Island in Papua New Guinea. In 2001, Australia offered economic aid to Nauru and Papua New Guinea if the two states would house Australia’s asylum seekers. Today, about 3,000 refugees are detained in these two camps. 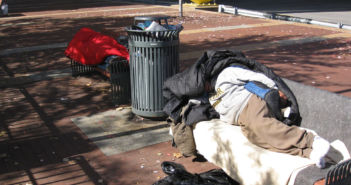 Even with its use of harsh rhetoric Abbott’s government has cited numerous benefits of the program. The policy does, of course, secure Australia’s borders. The government has maintained a much firmer grasp on immigration, successfully managing the decade-long immigration crisis. For a number of years, immigrants have unsafely entered Australia, posing a security and economic risk to themselves and to Australians, which is why the campaign targets refugees. There has also been a sharp decrease in the number of undocumented boats in Australian waters, a major selling point for the campaign. The smugglers’ ships are incredibly unsafe; almost 1,500 refugees have died on their journeys to Australia. As the Australian government boasts, the operation has prevented any more deaths on the sea. In its own way, Operation Sovereign Borders is solving a humanitarian crisis. Many conservatives worldwide have applauded Australia for taking such a strong stance against illegal immigration, but the backlash against Operation Sovereign Borders is just as significant. By refusing asylum to refugees, Australia is violating the UN’s laws on refugee immigration and political asylum. A number of institutions, including the Human Rights Committee and Amnesty International, have criticized the policy for decreasing Australia’s international responsibilities and threatening human rights. In most countries refugees are allowed to apply for asylum; yet, in the Australian detention camps it is nearly impossible to do so. In fact, life in the camps is reportedly so difficult that some detainees have gone insane or died from infections. Human rights proponents have also chastised a recent Australian arrangement to transfer thousands of refugees from Nauru to Cambodia. In return for housing the refugees, Cambodia received $35 million in aid in addition to the $69.5 million already pledged by Australia. This agreement is very similar to the measure signed by Nauru and Papua New Guinea in 2001, but it allows the refugees to resettle in Cambodia, rather than just stay in detention camps. Australia sees this as an act of kindness towards those struggling in the Nauru and Papua New Guinea detention camps. However, Cambodia has its own human rights issues, and according to human rights organizations is not fit to welcome even more victims. 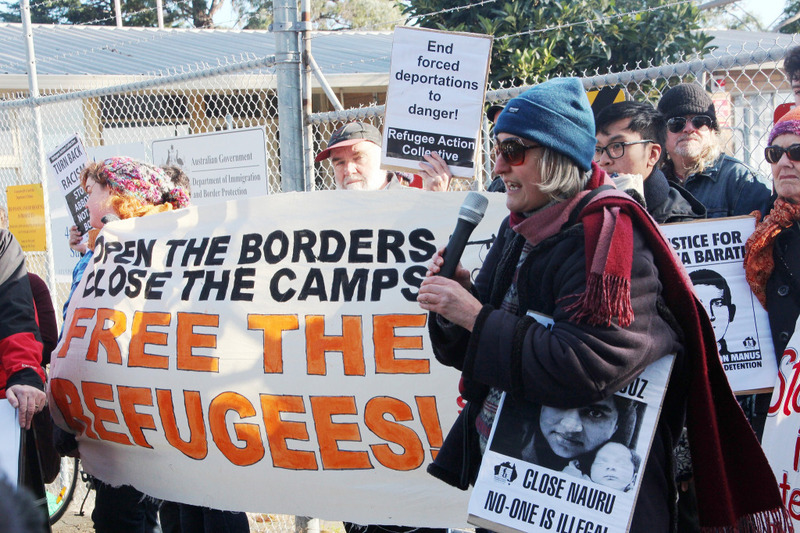 Australian domestic protests in favor of the refugees have only strengthened in the past months. For example, the viral website “Sorry Asylum Seekers” argues that Australia, a wealthy and democratic nation, has the resources and responsibility to house refugees. Undeterred by such objections, Abbott has insisted that Australia’s domestic security outweighs its duty toward refugees. Abbott and his Minister for Immigration and Border Protection, Scott Morrison, have deflected threats from the international community for the time being, but their plan is not sustainable. Policy groups recommend the implementation of temporary protection visas (TPVs), which would allow the government to process refugee applications without sending applicants to other islands. Reaching such an agreement would require Australia’s two leading political parties to work together, a formidable mission. If Australia wants to resolve its immigration problems, then the time is now—there are no undocumented refugees reaching Australian shores and the military has “stopped the boats.” With its borders protected, Australian leaders can hopefully find a policy that protects its domestic interests while providing a haven for victims of unsafe political regimes. Abigail Becker is an International Relations and East Asian Area Studies double major at the University of Southern California. She has conducted research with USC International Relations professor Andrew Coe on the effects of economic sanctions on rogue states, as well as patterns of urban development with the USC Annenberg School for Communications and Journalism. Her core interests include foreign policy, US-Korean relations and East Asian politics and security. In 2013, she studied at Ewha Woman’s University in Seoul, South Korea, as a Global East Asia scholar and spent the spring semester of 2015 at Yonsei University in Seoul. Abigail also worked for the US Department of State as a Domestic Political Section intern at the US Embassy Seoul and is an Undergraduate Fellow at the USC Korean Studies Institute. 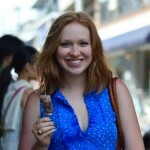 Abigail joined Glimpse from the Globe as a correspondent in May 2014.